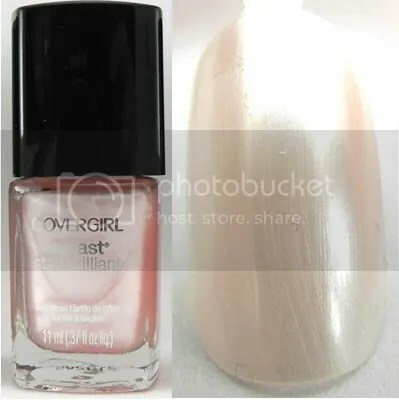 I recently received nearly 50 of COVERGIRL’S Outlast Nail Gloss polishes, and as I had never tried their polishes before, I wanted to review each and every one of them. Rather than dragging you, Dear Reader, through a 10 million-word post, I figured I’d split the review up into easily digested bite-sized pieces. 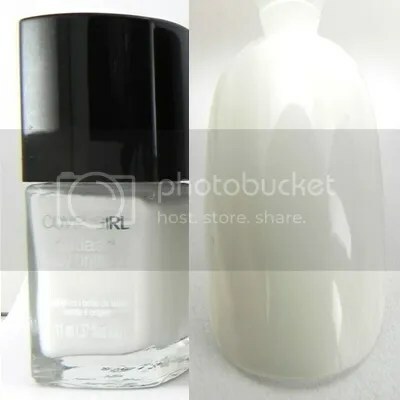 Snow Storm (#110) is a lovely creme, pure white polish that is pretty solid in two coats, opaque in three. Forever Frosted (#115) is somewhere between a creme and a pearl finish. 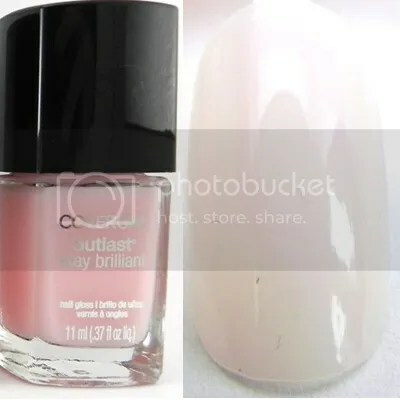 In the bottle, it shows as a barely-pink shade, but after two coats on my nails, I only saw a hint of color. Still a pretty neutral shade. Perma Pink (#120) is an almost-pink frost finish. You can see a few brush strokes after 2 coats, but it’s hardly noticeable. This would be pretty for a “Natural-but-not-Natural” look, if ya know what I mean. Peaches & Cream (#125) is my new LOVAH. 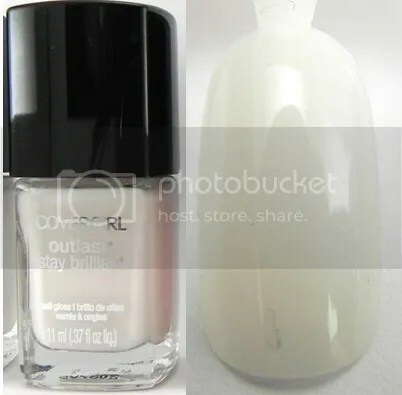 I didn’t think I’d like this creme polish when I saw it in the bottle, but it is pure perfection. 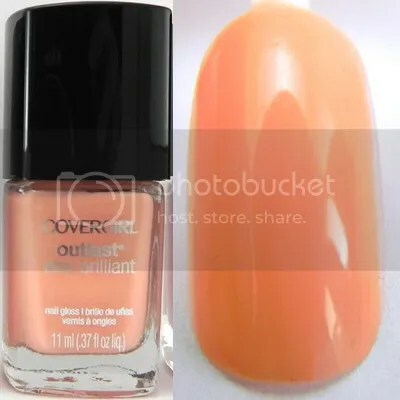 Opaque in two coats, and really long-lasting. It’s the perfect pinky-peachy shade for summer. Natural Blush (#130) is a sheer, almost pearlescent shade of light pink that I could see being perfect for a bride-to-be. 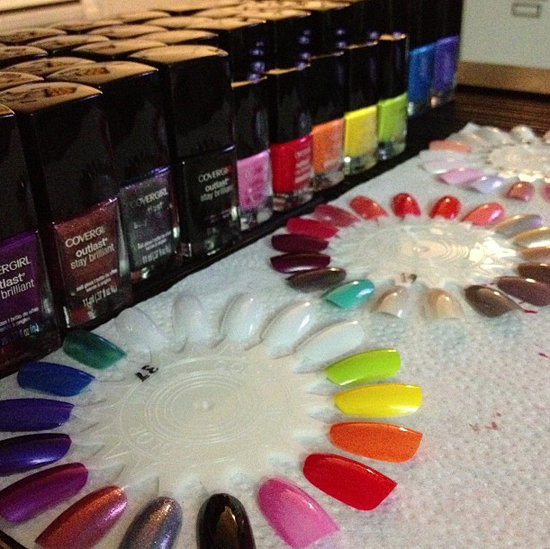 This would also be a good go-to shade for French manicures.